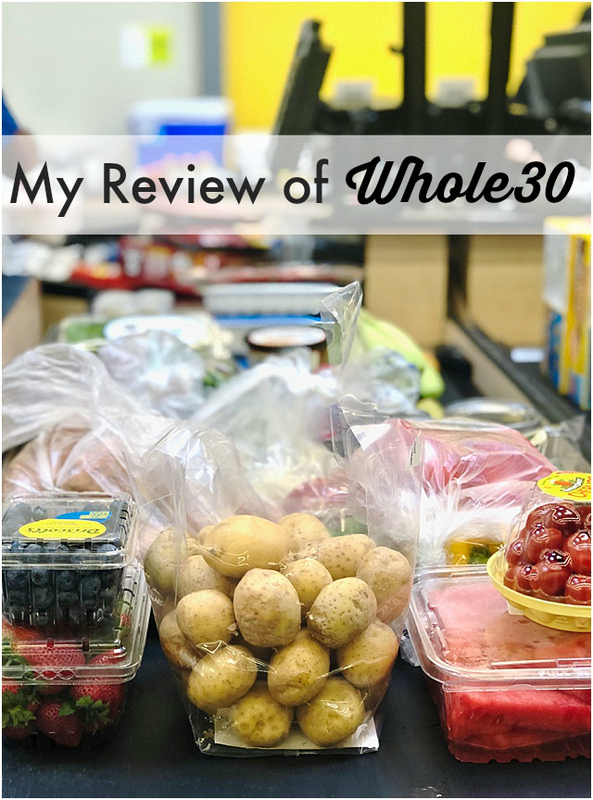 I completed my first round of Whole30 earlier this week. I followed the plan, the foods and the rules for 30 days. Overall, it was time intensive, at moments challenging and boring, and overall totally doable. I had thought about doing Whole30 on and off for years, and finally curiosity got the better of me. After a week of reading about it on the Whole30 site and other participants' reviews, and pouring through recipes on blogs and Pinterest, I curated my own meal plan. I used the week and weekend before I started (started Whole30 on a Sunday) to create my meal plan from the recipes and reviews I found online, and shop for ingredients and tons of produce. 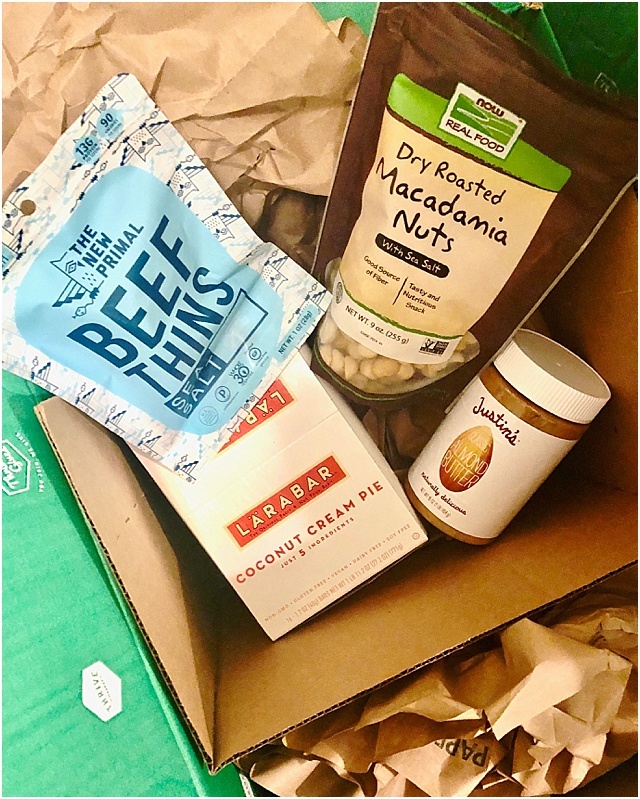 I also signed up for and shopped Thrive Market because you can shop for Whole30 specific products and I found a lot of items to be cheaper here than anywhere else, plus I love their own brand of foods. 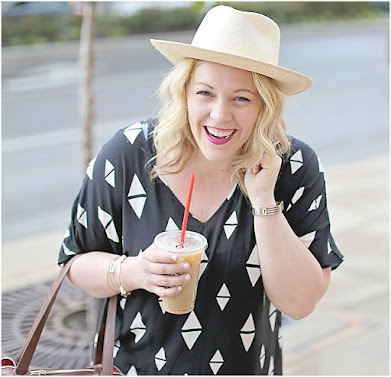 Despite Thrive Market and Amazon, I made numerous trips to several grocery stores around my home for food throughout the 30 days. At least twice weekly, sometimes a lot more. It was nice to have a shopping buddy (Nora!) 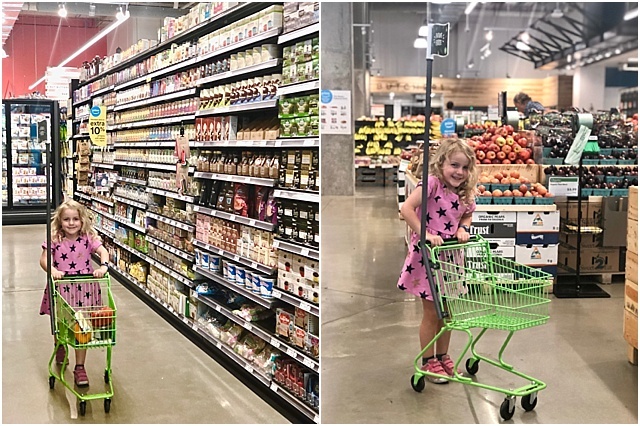 - and bonus for Whole Foods mini carts, she loved helping. Having a ready made meal plan for day one made me feel confident. Having several meals prepared, snacks divvied out and a pantry & fringe stocked with all the compliant foods, I felt ready. 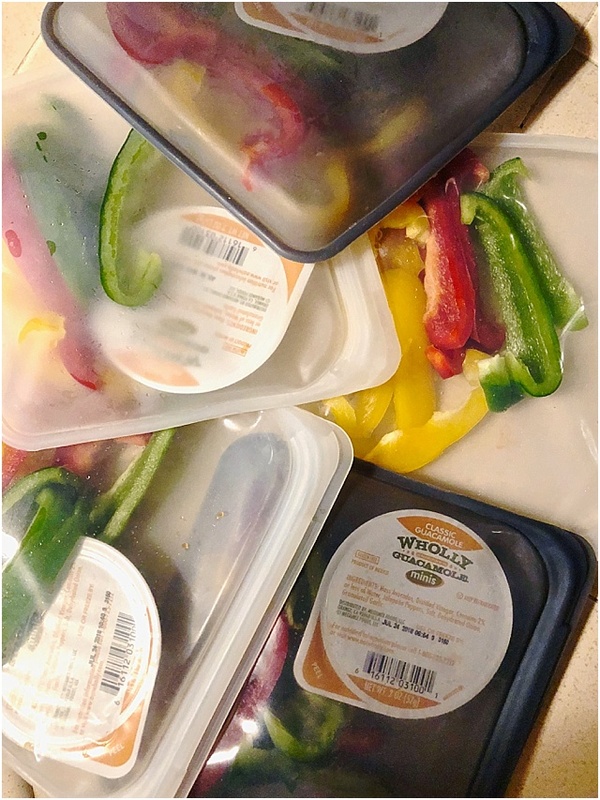 Following the meal plan I had ready, snacks prepped for me to easily grab, and meals ready to turn to when hungry kept me on track and feeling full. And naps. I took lots of naps, didn't over extend myself and kept working out (even when I didn't want to, even if it was just walking). I read that these are some of the hardest days (Whole30 says days 12-14, but I also heard from others that 15-17 were hardest), so I was mentally prepared for this part of Whole30 to be hard. And it was... but not that hard. I think I had set the expectations that it was going to be a flight, that when it came, it wasn't that bad. 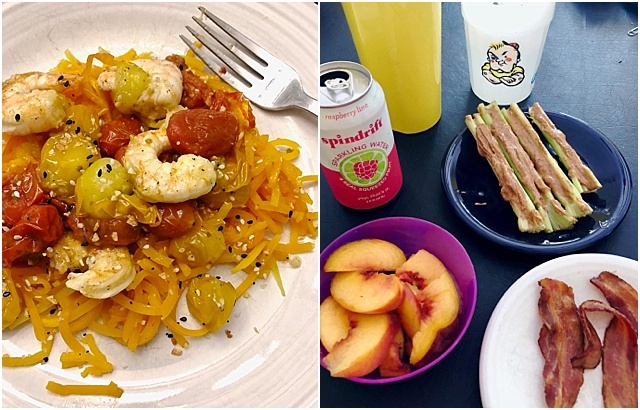 At time point, I had was remaking and turning to meals/snacks that I really liked in the first 10 days, and finding more simpler things to eat... as I was getting really tired of spending so much time in the kitchen. 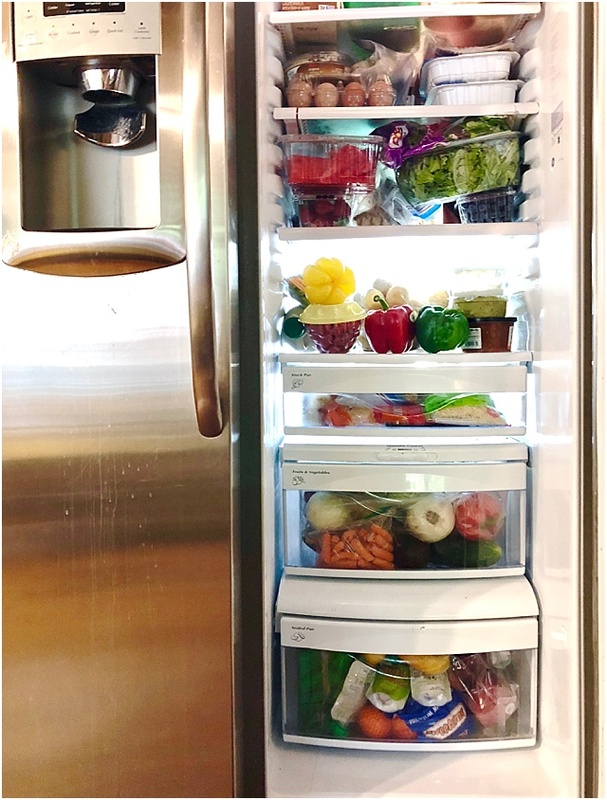 At this point, I felt in a rhythm and have found my sweet spot of pre-prepped meals/snacks and easy things to make and turn to instead of spending ALL the time in the kitchen. Don't get me wrong, it still takes a lot of time - more than I was used to spend - to cook, chop, prep, make, bake, and so on. One easy thing to do on the weekends in order to start the week on the right foot and each day more easily, was pre-made breakfasts. 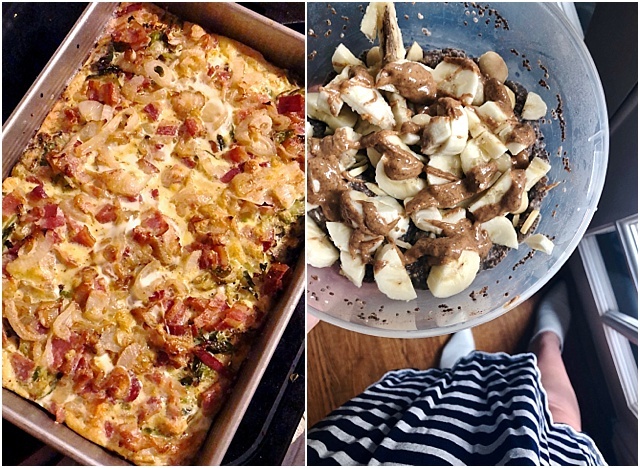 I loved this breakfast casserole which lasted me 9-10 days! And I did some overnight Chia Seed puddings a few times when I wanted something cold. Well... 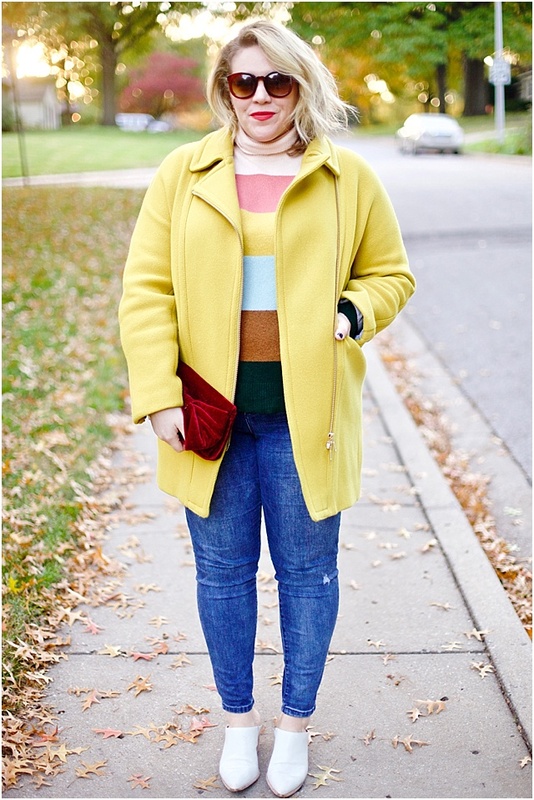 I didn't have any life-changing benefits or feel my best self like so many others have. And truth be told, I was disappointed. I love about 4 lbs, which I guess is something - but for the amount of work and everything that was given up - I was hoping for more. Whole30 also touts their non-scale victories as most important, and I was most hoping for better sleep at night and energy during the day. I am not sleeping any different. Negative Changes: I have more headaches than I had before, and my digestive system has not been great (and we'll leave it there). Positive Change: My sugar craving is a lot less (though I still can't wait until I someday have some chocolate again...). 1. I was eating more eggs, nuts and meat than I was used too. In a separate food tolerant test, eggs are a potential flag for me. 2. I might need more time to start feeling the benefits and for my body to shift. So, I'm giving it some more time and eliminating eggs from my diet to see if that helps. I'm also watching how many nuts/nut products (like Larabars and nut butter) I am eating in a day, trying to keep that down a bit more. I will reincorporate a few things, slowly and one at a time as the opportunity/desire hits me, while trying to keep close to Whole30 as long as possible. Overall, I would totally recommend (if approved by your healthcare provider, of course) trying this. It's a great way to eliminate a lot of things that could be issues (like sugar, dairy, gluten) and really retrain yourself on how you think about food. And I think it's totally doable for anyone, you just have to think it through a bit. And here are some final tips & tricks that really worked for me. 1. Prep! 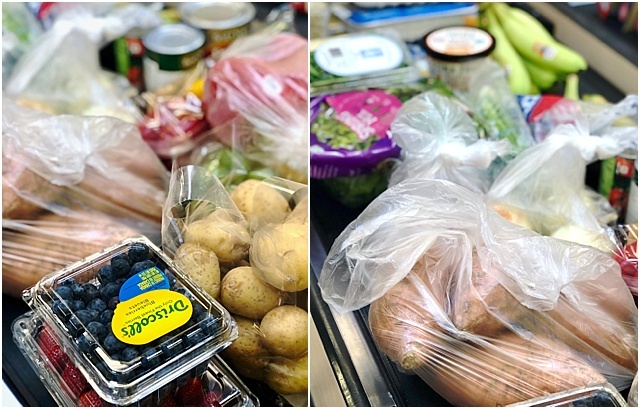 Spend the few days to a week BEFORE starting Whole30 shopping, ordering and in the kitchen to get ahead. This is the #1 thing that helped me get into the groove and conquer the first week. 2. Drink lots of water throughout. This had me peeing on overdrive, but it helped me stay busy and keep full. 3. Season it. Whatever you are roasting, use spices and herbs. And meat? Season it, or marinate it. It makes dishes and veggies and whatever taste so much richer and better. 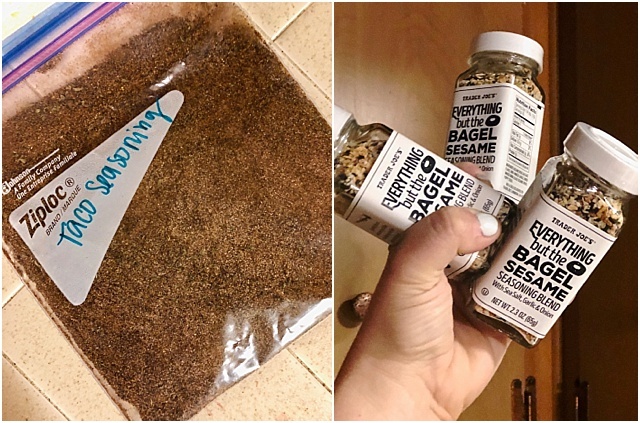 I made my own Taco Seasoning (because the kind I could find at my closest store one night when I was craving taco salad had sugar in it) and I go through about one 'Everything but the Bagel' sesame seasoning blend about weekly! I liberally apply to veggies and potatoes, so good. 4. Have snacks on hand, in your car, at your desk and in your purse (EVERYWHERE). You don't want to be caught off guard hungry with nothing to turn to. Sliced Veggies (Peppers!) & Guac I got the individual Wholly Guacamole to easily take with me. Nut butter & Fruit Apples are great to take along, and I got into these individual, to-go almond butter packets to squeeze on my fruit. I also love Cashew butter. Dried Fruit You have to be careful that whatever you buy is only fruit (no sugar added) and eat in moderation, but this was good for when I was traveling and couldn't bring a ton of fresh fruit. My favorite is this dried mango. Sweet Potatoes I peel and chop a bunch all at once. I roast what I want for 1-2 days at a time, and with the previously mentioned favorite seasoning in the world, I could eat these allll day long. Do you have your own experience? Maybe it didn't go as well? I'd love to hear your tips and recommendations!